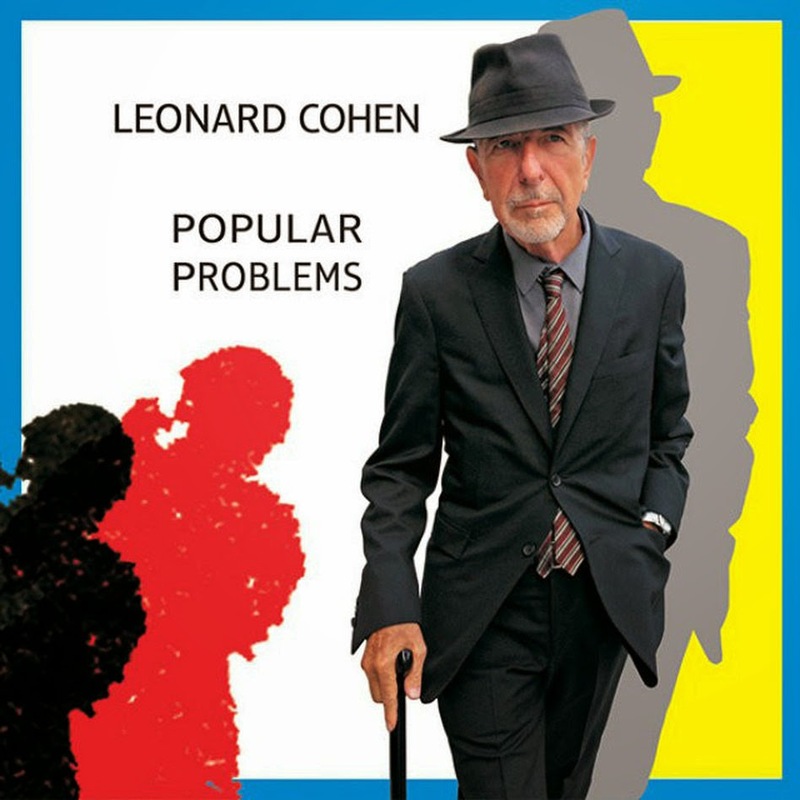 On September 23rd, we'll get the release of Popular Problems, kindly characterized as the 13th studio album from the legendary Leonard Cohen. I say kindly, because despite writing the songs, Cohen seems quite happy to take the back seat on many of the songs. His vocals are buried so far down and are often so hushed that they serve more as an accent piece rather than a focal point. He's the furniture as the excellent backing vocals and competent arrangements are the stars of this record. Bongos and maracas dominate the moody "Almost Like the Blues". Horns and gritty guitar work make "My Oh My" noteworthy. The slushing organ part is the highlight of "A Street". There are some exceptions. The lead-off track "Slow" features some delightfully gruff vocals accompanied by a jazzy arrangements. "Did I Ever Love You" is the most melodic number on the record, and fairs decently. However good the players, this is advertised as a Leonard Cohen record, and with all due respect to the man and his remarkable career, his is far too absent on this release.